It was an interesting week in the Kilkenny & District League with clubs continuing their battles for silverware. In Division One Clover United A saw their title hopes strengthened, and all without kicking a ball. Fort Rangers did them a favour, beating rivals Evergreen C 3-2 on Sunday. Needing a win to keep a pressure on the Rathdowney men, Conor O’Neill’s side started well and were 2-1 up thanks to Eddie Teehan’s penalty, but goals from Eddie Nugent (2) and Colm Phelan saw Fort take all three points. The result, Evergreen C’s first league defeat since the opening day of their 2016/17 double-winning season in Division Two, means Clover United can clinch the title with a draw against the city side in their last game of the campaign. Evergreen also have a game against Freebooters B to play, but need at least four points from their remaining two fixtures to leapfrog Fort and avoid a promotion playoff. Two wins and they’ll take on Clover again in a title playoff. Elsewhere in Division One Thomastown United B picked up three points thanks to a 3-0 result against Stoneyford United. The pairing for the Division Two Ken & Michael Byrne Cup has also been decided after River Rangers beat league champions Bridge United on penalties. They will take on Spa United in the final at Derdimus on Sunday morning. East End United were also celebrating after beating Freshford Town in a goal-crazy Division Three playoff. With the winners going up as champions Freshford took a big step towards the silverware when Shane Donnelly shot them into the lead, but Gary Hayes replied before half-time. The second half saw East End take a vice-like grip on the title, thanks in no small part to a five-minute hat trick from Jack Barcoe. Although stunned, Freshford rallied and closed the gap with goals from Michael and Eoin Kenny, but East End held on for a 4-3 win. Life at the top of the Premier Division got a little clearer for Evergreen A after their 3-2 win over Thomastown United A. The city side were sent on their way by an early Sean Barcoe goal, then boosted their lead with two goals from Chris Whearty. 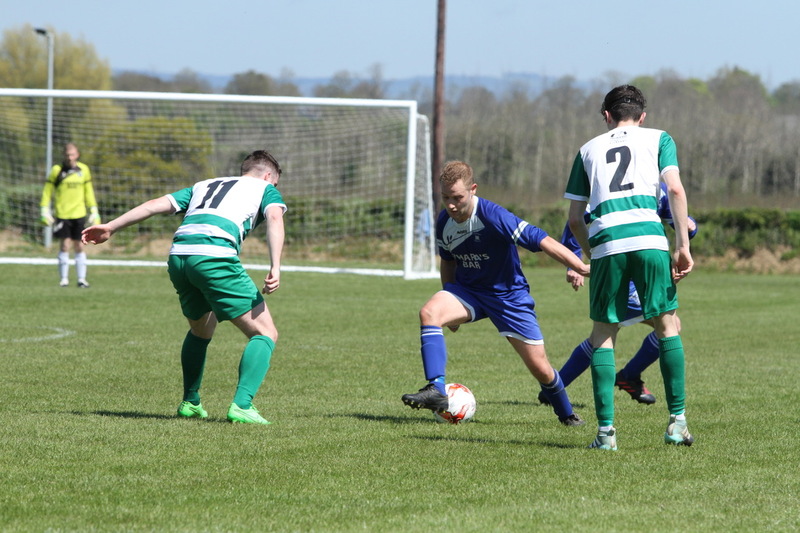 Thomastown found it tough to break down a 'Green defence superbly led by Niall Andrews and Lee Delaney, but did raise their game in the latter stages. Two Rory Monks goals saw United close the gap, but they couldn't reel in their title rivals. Other top flight games played over the week saw Evergreen B beat Callan United A 4-0 thanks to goals from Ciaran Snype (2), Eoghan Connolly and Jamie Ryan, while David Doyle (2) and Craig Hayes saw Freebooters A beat Highview Athletic A 3-0, a result which also keeps their title hopes alive and kicking.